In social media, consistency is key. Failure to post in a regular cadence will result in your marketing or informational posts getting lost in the shuffle or worse–never reaching the eyes of your desired audience. Social media is a funny beast. Engagement is much easier to gauge than print campaigns, as there is the immediate gratification of a “like” or a “re-tweet.” Gaining that traction is tricky, however. Every business has a different identity and core client, so creating content that reinforces the brand and resonates with the audience should be a thoughtful exercise. Most social media professionals follow the 50/30/20 Rule. 50% of your posts should be of general interest or entertainment value. They keep your audience engaged and happy to follow you. They can still reinforce your brand by presenting items that show your style, tone, or taste. 30% of your posts should be direct marketing of your business. Your other posts are in place to build the audience and open its reception to your products or services. 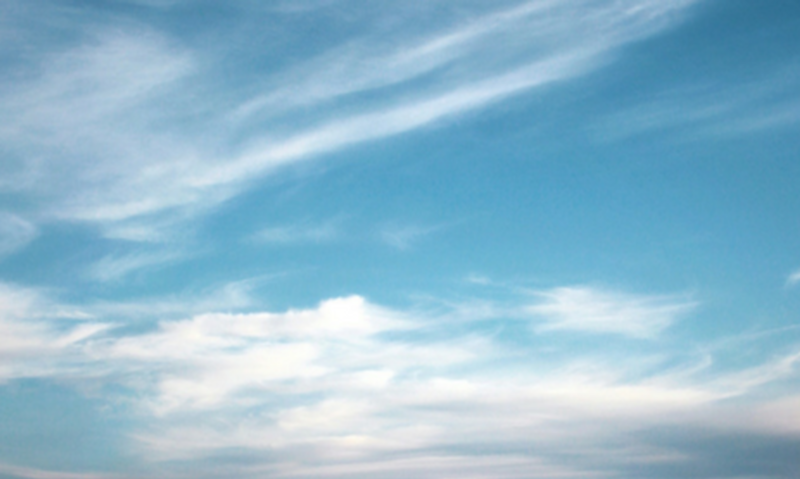 20% of your posts should be content related directly to the sphere your business occupies. It can be curated stories that relate to your field, or short, informational posts that reinforce your message and expertise. The best way to ensure consistent, fresh content is to build out a calendar and to schedule your posts. This helps you make sure you are following the 50/30/20 rule and prevents gaps in posts due to heightened workloads, client meetings, or forgetfulness. There are a number of systems out there to assist you, but often, it takes multiple ones to build images, source content ideas, and schedule your posts. Here at Cirrus VA, we are all about saving time, so we’re going to let you in on our secret scheduling weapon, PromoRepublic. A calendar page that shows scheduled posts and also gives ideas for additional ones? Yes, please! With an events calendar that highlights holidays, events of note, and obscure observances, it is easy to create a varied post schedule. Engaging posts often start with a compelling graphic. 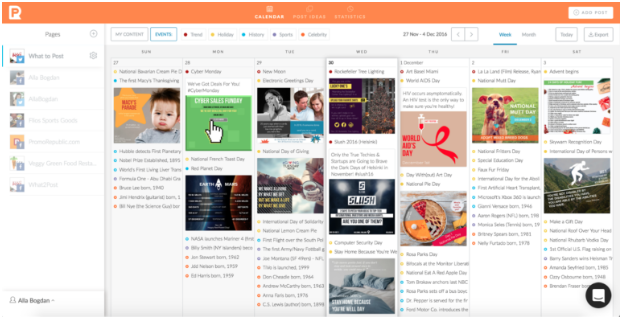 If you have been creating posts the “old-fashioned” way, you likely have built out an image elsewhere, then posted either in real time or through the individual platform’s scheduling tools. Another reason we here at Cirrus VA love PromoRepublic? The ability to create an image for your post, then schedule it in your content calendar across different platforms without ever leaving one place. Edit images, add text, stickers, icons, and objects, then schedule to one or more social media accounts all in one place. You can utilize one of their pre-existing templates or build your own from scratch. 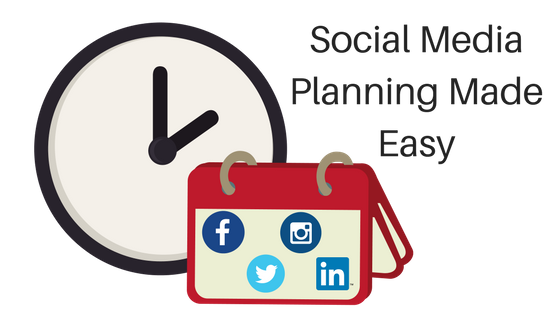 By never having to leave one site, you can save time and energy, and quickly build out your social media calendar(s). Once your posts have become public, it is important to understand how they are resonating with your audience. Are they getting in front of potential clients? Are people liking or sharing what you are posting? Each platform is different, but one of the other things we love about the PromoRepublic service is that you can review page stats in an easy to read format with the single click of a button. 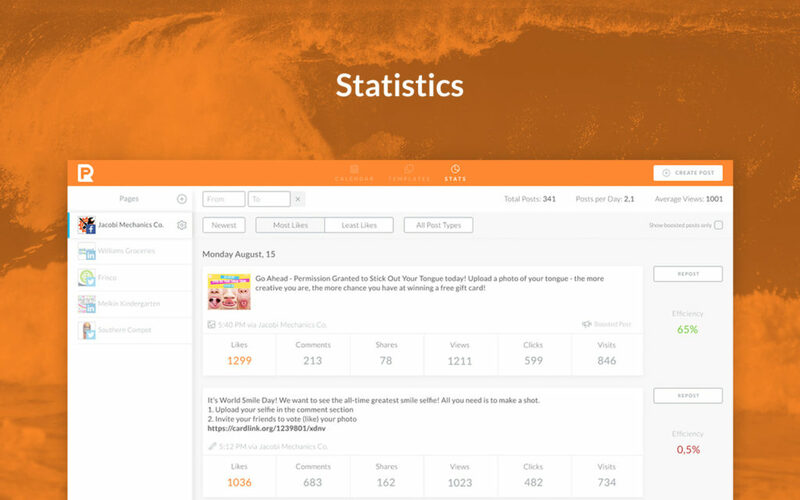 Statistics at a glance for each social media page you manage. Know what works with your audience and which posts fall flat. PromoRepublic has partnered with Cirrus VA to give you the opportunity to take their platform for a test drive. They offer a free 14-day trial where you can try their scheduler on one of your social media platforms. Once you decide to become a part of the PromoRepublic Community, you can become a Premium (5 social media accounts) or Pro (15 accounts) member. You will also have access to weekly webinars, customized content, and a private community of social media marketers. As a special offer for Cirrus VA clients and fans, they are offering a discount of 20% off an annual Pro account package when you use Promo Code PR20. Cirrus VA invites you to click on the image and try PromoRepublic’s Social Media Scheduler for Free. Ready for a Pro account? Use promo code PR20 to save 20% off the annual package fee. *Cirrus VA chooses all of its affiliate partners very carefully and will never suggest any platform that we do not personally use and endorse. Would you prefer to have your social media professionally managed? Cirrus VA has plans for that! Visit our Services page for more information and pricing.